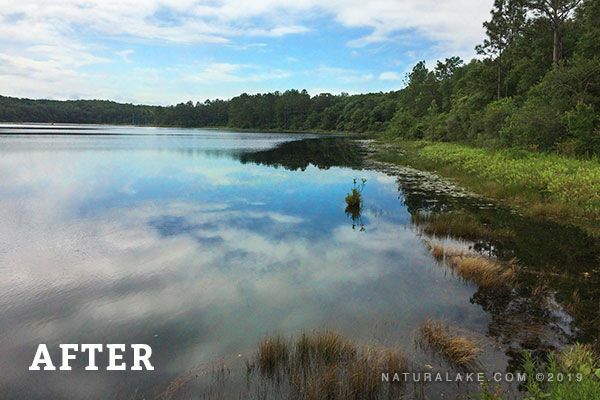 AquaSticker is a biological sticking agent that disrupts the protective microbiota of algae and aquatic plants. This product is the result of extensive research in the Naturalake Biosciences’ laboratory. It is the latest innovation in aquatic bio-catalyst technologies. AquaSticker stimulates competitive bacterial growth and encourages algae and aquatic plants to naturally uptake chemicals. This versatile technology boosts herbicide and algaecide performance in a variety of applications. It excels in hard water treatments and can be applied as a tablet or liquid as needed. 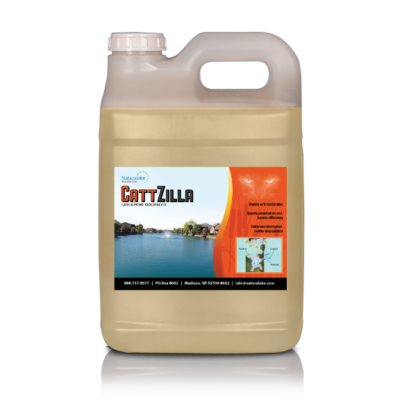 AquaSticker blends well with most chemistries and biologicals including PondZilla and Water Column Clarifier. 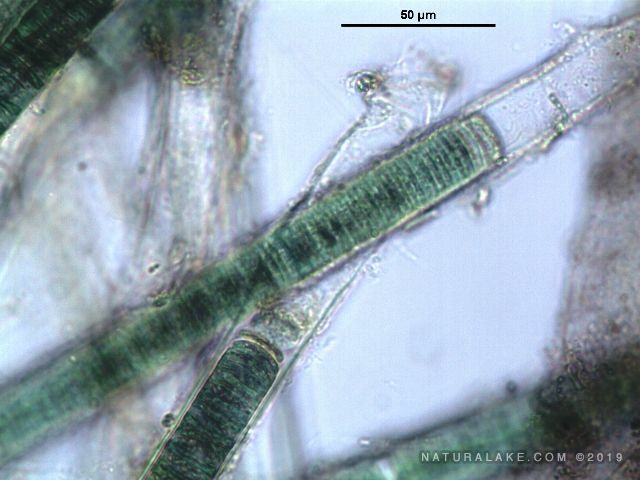 Algae and aquatic plants host distinct microbial communities on their surface called the microbiota. This diverse community of microorganisms (bacteria, fungi, archaea, and viruses) can be both mutualistic and pathogenic. The microbiota plays a key role in protecting algae and aquatic plants from environmental impacts, pathogens, and chemical attacks. It also is important in fixating nutrients for growth. The community can adapt or shift according to the conditions to promote the health and survival of its host. The effectiveness of a chemical treatment can be limited by the ability the microbiota to protect its host. 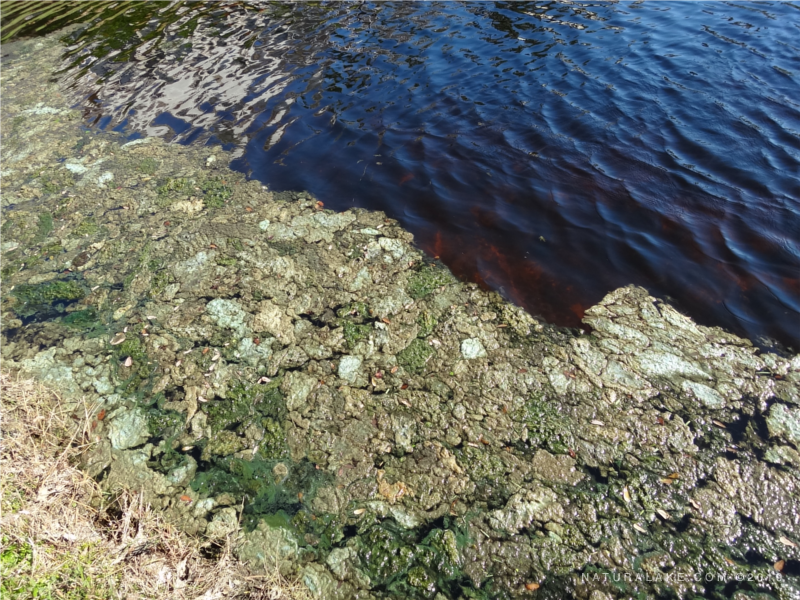 Shifting metabolic activities or reactions and producing thick biofilms are examples of how the microbiota defends algae and aquatic plants from copper, diquat, endothall, and other chemistries. 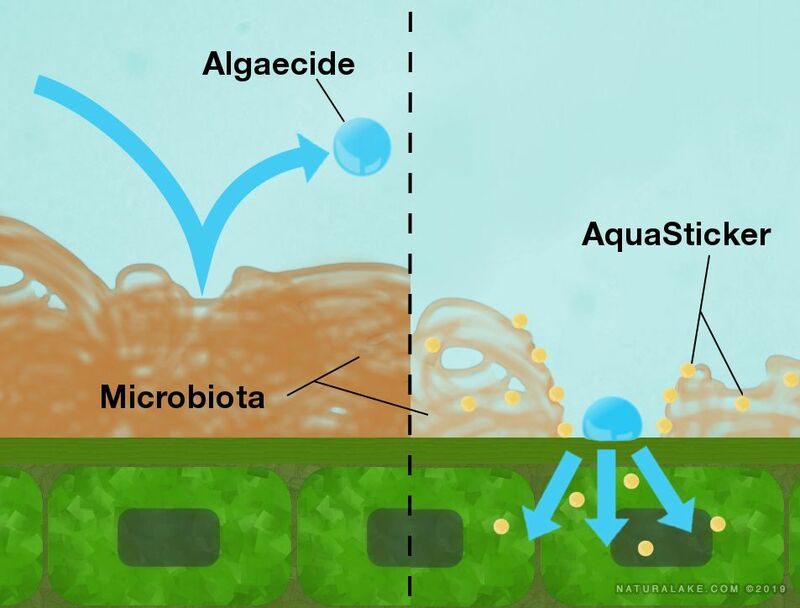 When blended in with algaecides and herbicides, AquaSticker temporarily disrupts the protective microbiota by fostering competitive microbial growth on algae and aquatic plants. Upsetting the natural balance of this community temporarily enhances chemical uptake by the host. AquaSticker also improves contact time with targeted algae and aquatic plants by slowing dissipation in the water column and increasing adhesion. AquaSticker’s unique traits and essential components allow it to combine well and improve the performance of our probiotics and biocatalysts (Water Column Clarifier and PondZilla Pro). When blended together, AquaSticker and Water Column Clarifier will improve formation of microfloc which clarifies the water. 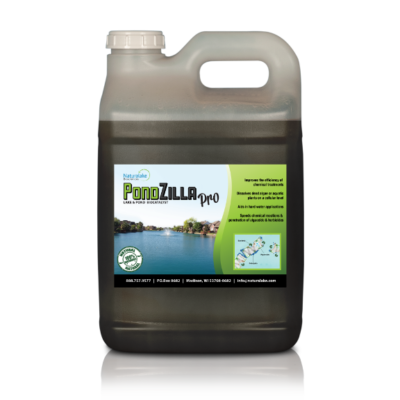 When mixed with PondZilla Pro, AquaSticker improves the biological reaction at the surface of the algae or plant. 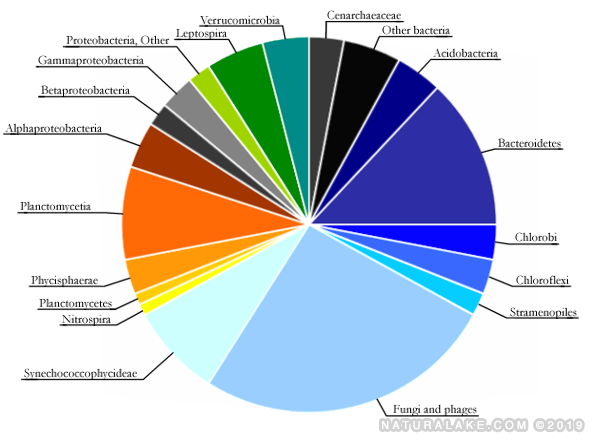 This graph represents the microbiota surrounding a sample of Lyngbya tested in the lab. *Fully dissolve AquaSticker in chemical solution and spray evenly over target. **Do not mix directly with peroxide based algaecides. 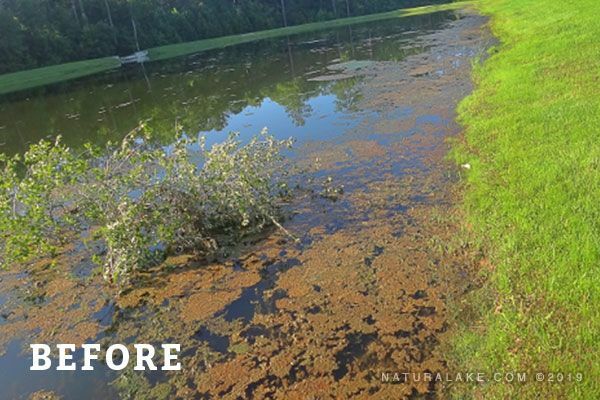 SUMMARY: This lake was experiencing outbreaks of various aquatic plants including bladderwort, water shield and fragrant water lilies. Targeting several species and restricted access to the waterbody was limiting treatment options and coverage. SOLUTION: Added AquaSticker to the herbicide combination to improve adhesion and increase herbicide uptake. 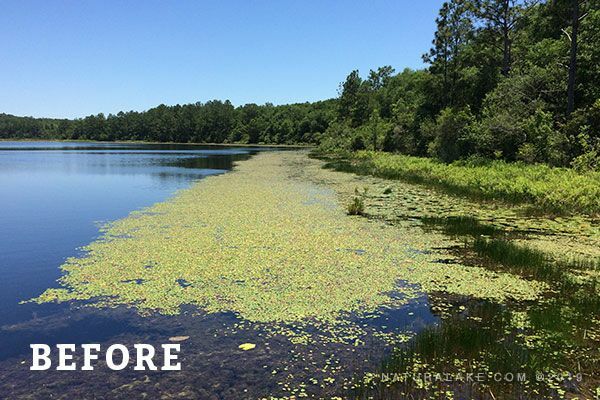 RESULTS: The treatment was successful, and the lake remained clear of the targeted aquatic plants 40 days after the initial treatment. 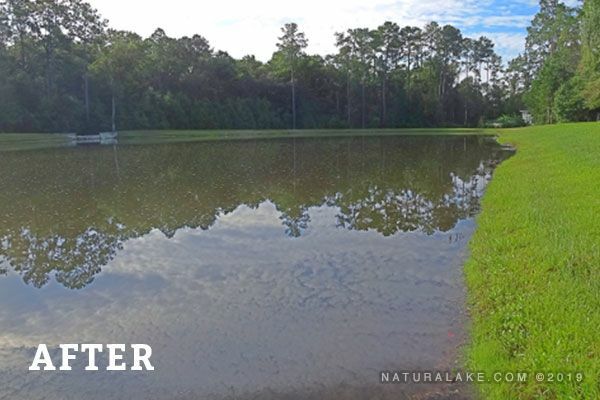 SUMMARY: These private landowners have a shallow pond with little aeration —one small fountain runs a few hours a day. The waterbody receives heavy nutrient loading as a result of an aerobic septic system that broadcasts in their watershed. At times more than half of their pond would be covered in a mat of tolypothrix. SOLUTION: Created an algaecide recipe that included an application of Aquasticker to control growth. RESULTS: The treatment was successful while reducing maintenance costs. More importantly, the homeowner was extremely pleased to see that their pond was successfully cleared of algae and aquatic weeds with less chemical use. were used during the treatments.